I cant type fast enough and get pictures loaded before the trader times out for some reason. Will have to let this set and simmer/age for a while, to figure what else needs attention! Some tack welding required to see if I can get this installed as a fully welded unit. FYI I did make three cuts in the curved (warped ) air tube and this will get it almost straight again. Need to bring the Mig welder out and start tacking the new assembly together. Havent fabed anything in a while. So this is a good test. Also found the extended lip that I had added to the rear pan (about 1 inch long) has to be removed to allow the pans to fit on the arch length! 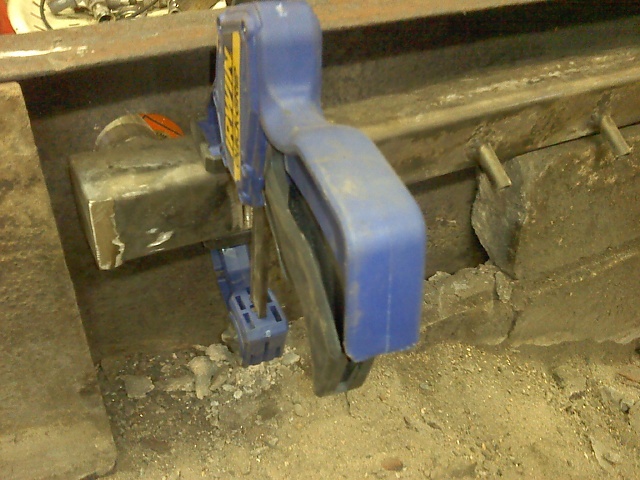 Not a big deal just need to be careful when I grind the spot welds and release it. Last edited by Sugarmaker; 04-13-2019 at 09:20 AM. A couple thoughts I will add. I would definitely do any insulating you can while the bricks are out. That will keep more heat in the firebox for complete combustion and more heat going through the pans. My arch is fully insulated and there is still plenty of warmth to keep the kitchen comfortable. Looking at your mock up from how you had it. It should work just fine but I would point out one thing. Your original system had the benefit of the pipe coming to the firebox manifold being preheated. Your current mock up would lose that benefit. Since you are doing some brick work it wouldn't be hard to keep the feed pipe inside the arch somewhere to keep the benefit of preheated air. And since the back of the pipe on the original configuration was not warped we know it can take the heat underneath or on the side of the flue pan no problem. You could take a straight run of pipe from the front of the firebox all the way back, mortar/insulate over the firebox manifold to protect it and leave the back pipe exposed to soak up heat and preheat incoming air. For some reason I have it in my head that you want some nozzles at the back of the firebox also pushing air down and somewhat towards the front. I thought that was how I read it in the UVM paper , or did I read it wrong/I have thought about adding over fire air for a few years. There is the publication. The bottom pages have some diagrams that will help answer your question. And remember these are good guidelines but many have had success in a number of variations. Look who your working with here, this is my third attempt at this! Do you think I follow the rules? No, I color outside the lines a lot! Not doing the nozzles at the back. Just doesn't seem right to me to be blowing the fire back at the door. Just my 2 cents. Just going to keep hacking till something happens! I do appreciate the comments and the suggestions too! 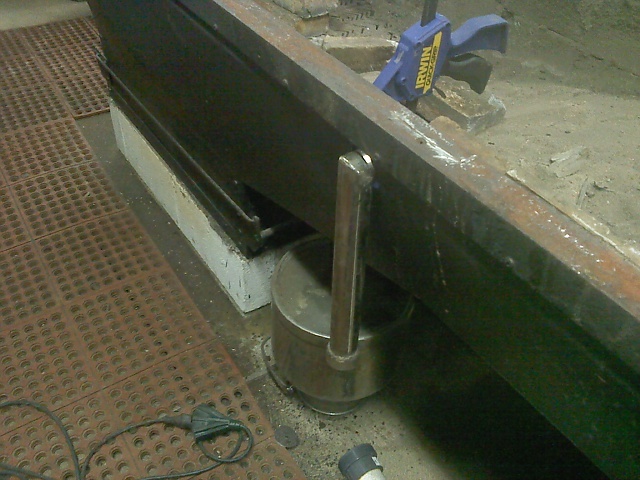 Cant get my welder out of the shop due to the disaster called a tractor restoration in the way! I dont think the air has any time to get warm on its travels even in my old system? These blowers move a lot of air quickly! Chris, I have 5 nozzles across the back (3x8) and I do not shut the blower off to refuel. I get no fire nor sparks out the front, I also have 1 each side of the doors, facing to the back. I won't say it will be a failure, but why argue with success? Last edited by Windy Acres; 04-14-2019 at 04:45 AM. That is a very clean and controlable set up for your air distribution. On my first prototype build (round tubes) I had exposed tube and nozzles just under the pan across the arch. Being exposed it did a quick melt down. My ramp is long and shallow slope and any nozzels at the back of the fire box would be right at the same place where I would like to get the heat to my drop flues. Will look at that again but doubt I will go with the rear set of nozzels. I did find my welder so just have to get that moved to the sugar house. A product that I have heard about for years and never used: Arch board! I was thinking that when I have all the brick out it would be a good time to consider adding some additional insulation to the arch. I just have the old fire brick in there. Any one have info on this material, availability, do's and don't's? I don't know the thickness. Guess I may have to google it too? Have been working in the sugarhouse canning syrup. 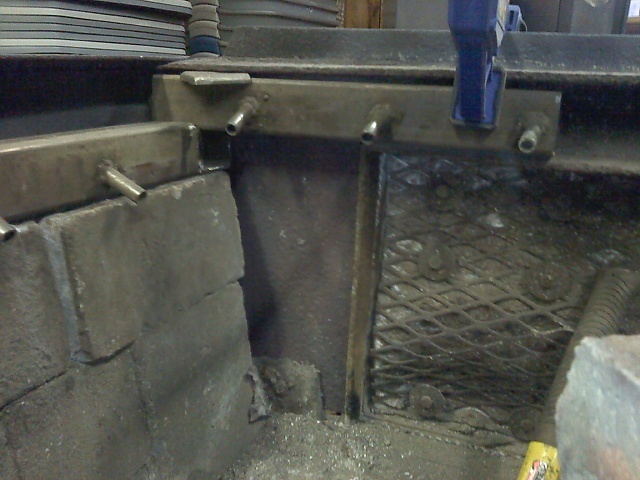 1. welded to the outer top edge of the top rail would provid some stiffness. 3. This could be a nice place for some heavy rope pan gasket to lay in (glued) and not get so out of position. I believe that the Arch board I bought is 1" thick and 1' by 3' rectangles I bought mine at Bascoms, no doubt that there are probably cheaper places. I used a razor knife and broke it off much like sheetrock or ridged styrofoam. I liked it, I also have an inch of blanket insulation in my arch, so my arch has 2 full inches of insulation, it works well, the last 2 rows of bricks I used half bricks so as to not block the heat from hitting the pans, I did have to cut a slight bevel up by the arch rail to take the square edge off the bricks. But it works good.